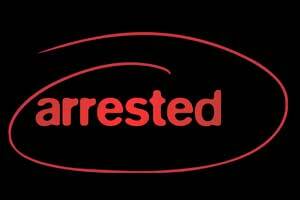 Jaipur: Five persons, including three retired officers of health department were arrested in connection with an alleged scam in recruitment of contractual employees in the state four years ago, Rajasthan Anti-Corruption Bureau (ACB) said here. Former medical and health services director Dr B R Meena, then statistical officer Rajendra Sharma, then assistant accounts officer Buddhi Prakash, owner of computer services provider Sunit Dixit and a beneficiary Neeraj Jaiswal were arrested, an ACB spokesperson said. All the accused were produced before a court which sent four of them to judicial custody whereas the accused Dixit was sent to police custody till July 21, he said. In 2014-15, seven contractual posts had to be filled in six districts under Mental Health Programme run by medical and health department. The accused government official were in the selection committee. The accused had facilitated appointment of ineligible candidates through the computer services provider agency. The agency provided fake eligibility certificates to get the ineligible candidates selected in the jobs, the spokesman added.